College admissions officers are unanimous in their wish for the "authentic" essay — for writing that is honest and reflective of character, delivered in an applicant's own voice. Many students, not practiced in this mode of writing and feeling the pressure to be exceptional, are understandably daunted by the project. Hillside is inspired by it. "We have appreciated your support so much over the years. With patience, positivity, and process, you bring out the best in kids so they can share their stories!" Every stand-out essay develops from acts of imagination, honesty, precision, and revision — and from a specific writing process that inspires and aligns these acts. The Uncommon Essay is a uniquely designed private course for composing the main college-application essay. Instructive Discovery steps set the stage for progress through four substantive and structured one-on-one coaching sessions. Scheduling of all four sessions is required at sign-up to ensure availability. • FAQ: "What's the difference between The Uncommon Essay and The Jumpstart?" The Jumpstart supports students who are seeking an efficient, informative, and effective launch to the college-application essay-writing process. The course leads a student through Hillside's Discovery steps, which set the stage for two one-hour sessions to determine with the student the most promising personal material for writing and to build the online roadmap for Draft #1. Hillside provides thorough instruction and revision advice to students anywhere who have completed an application essay draft. 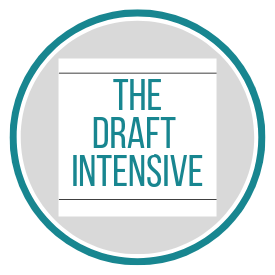 The Draft Intensive is designed for the student who is new to Hillside and who seeks expert guidance to the better draft. From study of the student’s submitted writing and relevant notes, the Hillside coach designs a one-hour, one-on-one feedback session, which he or she follows with an e-mailed recap that gathers significant session discoveries and reinforces the lessons and recommendations for revising. Draft Feedback Sessions — in person or via video chat — are for students who have already worked in a multi-session course or a Draft Intensive with a Hillside coach. Hillside coaches also provide feedback through online docs and audio files for students anywhere who seek advice to advance to the better draft — or the final one! After completing the Common App essay, many students find themselves facing a challenging array of college-specific essay questions. The Supplements Launch is Hillside’s strategic three-session approach to this project. The course focuses on developing an efficient plan for addressing supplement prompts and gives students the support and the tools to add further dimensions to their applications. Hillside support for students writing transfer-application essays launches with an online Q&A about the applicant's discoveries and direction as well as the research completed so far about opportunities on other campuses. The exchange informs the personal coaching toward compelling articulation of the student's objectives and aspirations.